Said Dokins (Mexico, 1983) Lives and works in Mexico City. He studied in the School of Arts and Design (ENAP) in the National Autonomous University of Mexico (UNAM) and did some courses of Philosophy and Art Theory. He has also studied traditional calligraphy with well-known national and international calligraphers and Japanese calligraphy. Since the 90s he started doing graffiti and street interventions. Said Dokins explores formally, symbolically and philosophically the potentiality of words and letters. In his work, they become gestures, traces that overlap creating patterns, textures, narratives; marks that carve sites, drawing boundaries, producing meaning. 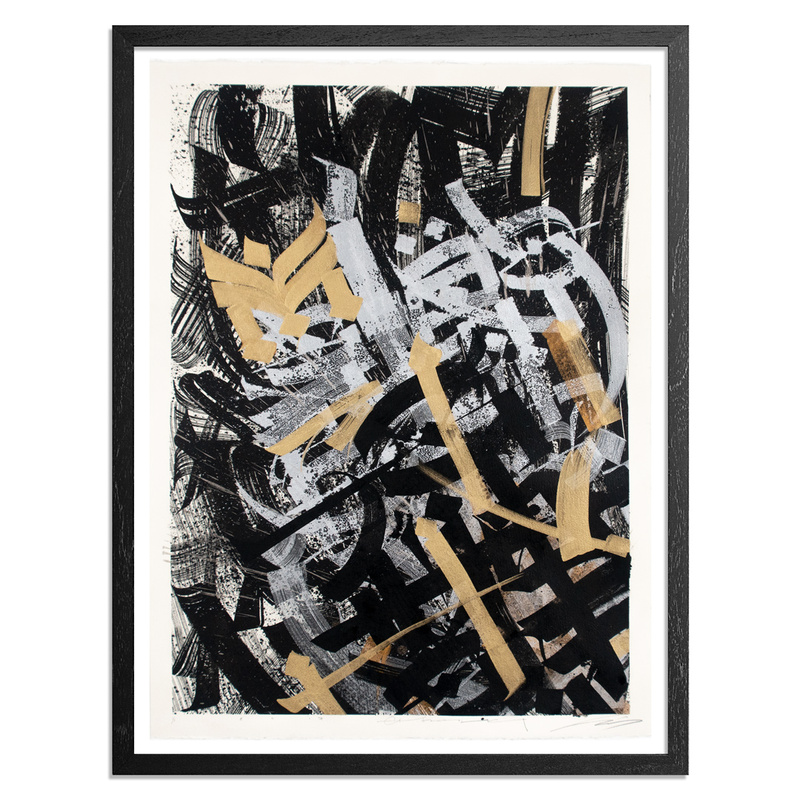 In that sense, for Dokins calligraphy and graffiti are a way to understand our relations with language, an action that stresses time, space and memory, a political enunciation. These reflexions become evident in Apparitions (2011), an installation that explores with the tension between memory and concealment, regarding to the victims of political “disappearance” (clandestine and unclarified abductions) in Mexico. This piece, exhibited for the first time in The House ofIndomitable Memory, has been honored with the Iberoamerican Award to Contemporary Artistic Creation Cortes de Cádiz, “Juan Luis Vasallo” 2015. Dokins has won international attention for his monumental murals in the public space. One of the latest is Chalchihuite (2017), a calligraphic intervention done for the Museum of Urban and Contemporary Art, MUCA, the biggest mural in Munich, with over 1200 square meters. His mural interventions often address social and political issues, like The Order Crumbles (2016), a graffiti bomb painted in Mexicali, at the border between Mexico and United States or American Women Fighter (2016), a mural for Coachella Walls Festival, where he included the names of women and collectives from the Americas that have fought for their civil rights. 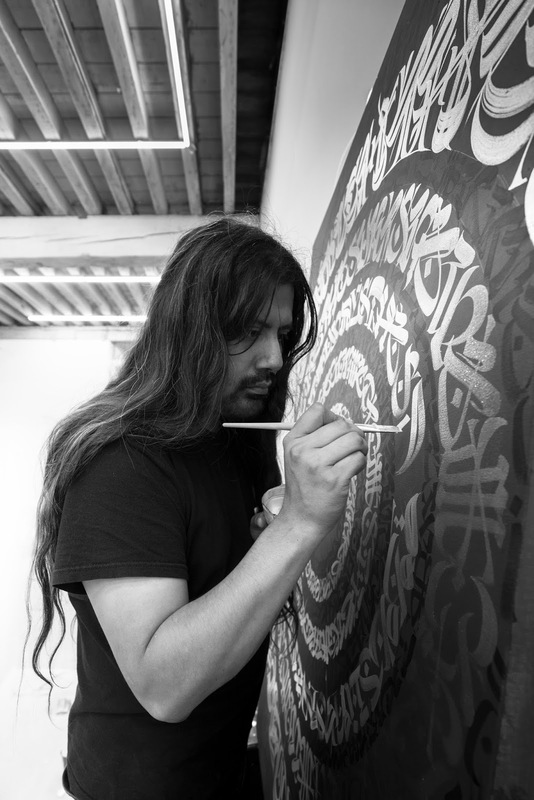 He is best known for his unique calligraphic style, which combines elements from Western and Asian Calligraphic Traditions, with pre-phonetic writing references, Mesoamerican Pre-Hispanic symbolic inheritance and Graffiti writing. However, his artistic practice involves several disciplines and media such as calligraphy, graffiti, installation, performance and video art, among others. It’s worth to mention his concern about light that has lead him to experiment with various technologies and media, including Virtual Reality, through Tilt Brush a tool he explored in the Google Cultural Institute in Paris. 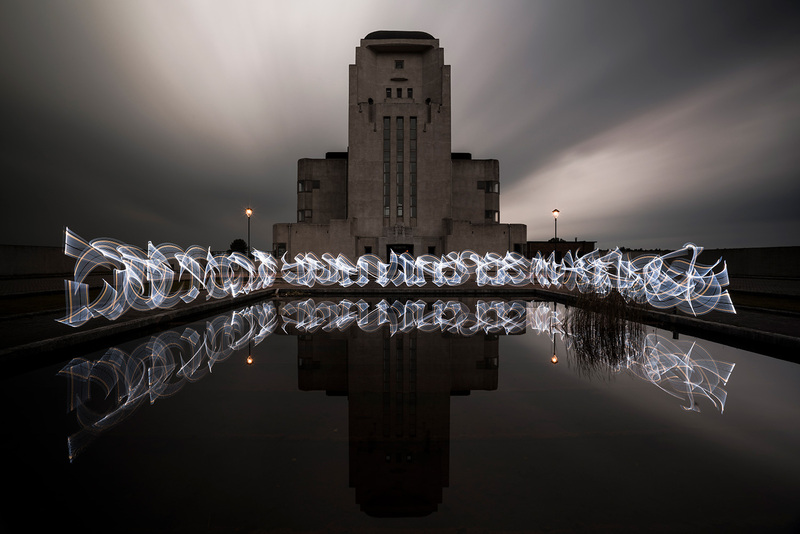 Another recent example is his project Heliographies of Memory (2015-2017), which examines the different levels in which inscriptions operate through light calligraphy actions performed in symbolically charged places, capturing the action of writing with long exposure photography: invisible inscriptions of light resignifying the space they cross. Dokins cultural practice involves artistic creation, interventions in the public space, research, curatorship and cultural management. As a curator, he has developed diverse projects linked related to urban art and contemporary art practices that address social and political issues. Stand out VisibleInvisibilization. Approaches to the Subject of Violence (2013-2014), and UrbanInterstices, International Exhibition of Urban Arts, (2011), a paradigmatic show that depicted a cartography of urban artistic practices in Latin America. 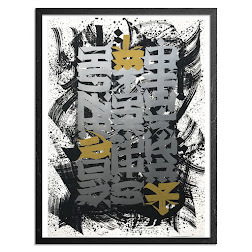 He is a member of recognized international associations like Calligraphy Masters and Calligraffiti. 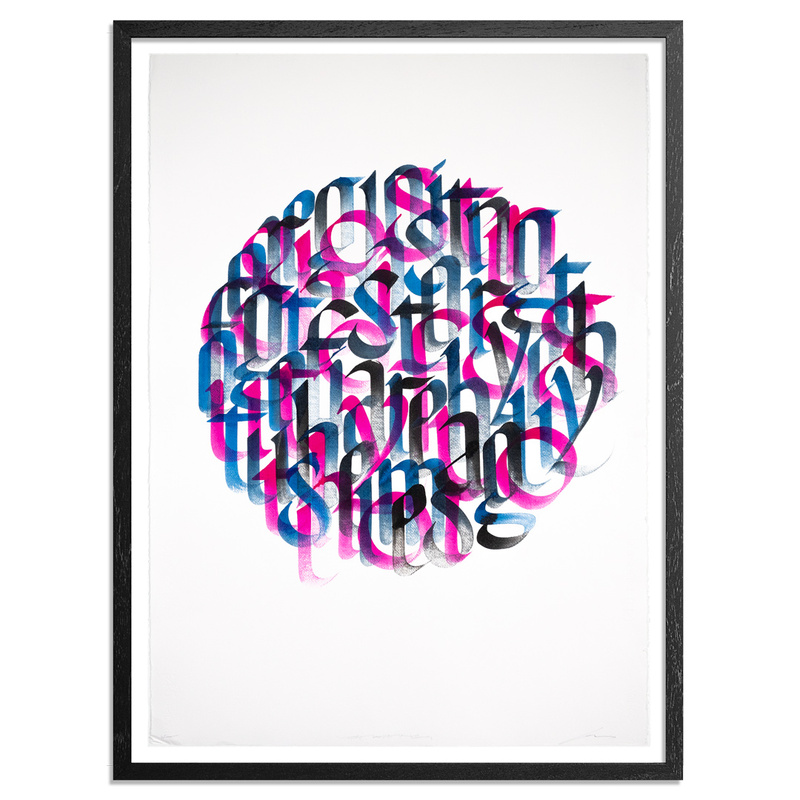 His work has been published in noted books and magazines, like Re_form, OSTRALE Biennale of Dresden Catalogue, The Art of Writing your Name, The Art of Rebellion, third and fourth volumes, or Letter Arts Review, a renowned calligraphy publication. It has been exhibited nationally and internationally, in countries as Spain, Germany, Netherlands, Belgium, United Kingdom, France, Argentina, Chile, Brazil, El Salvador, Peru and others. 2001-2004 Visual Arts, School of Arts and Design, National Autonomous University of Mexico, UNAM, Mexico City. 2005-2006 Philosophy, School of Philosophy and Letters, FFyL, National Autonomous University of Mexico, UNAM, Mexico City. 2017 Chalchihuite, Calligraphic intervention for the Museum of Urban and Contemporary Art, MUCA, Munich, Germany. Sponsored by the National Funding for Culture and Arts (FONCA), Mexico. 2016 Vesperide, Calligraphic intervention for Atelier Les Sauvages, DARWIN Ecosysteme, Bordeaux, France. 2016 About the memory, Ultraviolet Light calligraphy intervention for Le MUR, Bordeaux, France. 2016 El orden se derrumba (The Order Crumbles), Graffiti bomb at the border between Mexico and United States, Mexicali. 2015 Stolen Suns, Calligraphic intervention, Camden, London, UK. 2015 Notes about the Border, Calligraphic intervention, Cadiz, Spain. 2014 Taiyō (Sun), Calligraphic intervention, Futurama Cultural Center, Mexico City. 2012 Apparitions, Ultraviolet light installation for The House of Indomitable Memory, Mexico City. 2017 7th Annual PRHBTN Street Art Festival, Lexington, Kentucky, USA. 2017 PRHBTN Exhibition, Loudoun House Galleries Lexington Art League, Kentucky, USA. 2017 Street Art Today, Street Art Museum of Amsterdam, Netherlands. 2017 Stroke Art Fair for New Contemporary Art, Munich, Germany. 2017 IBUG Festival for Street Art, Chemnitz, Germany. 2017 The Art of Writing, Museum of Urban and Contemporary Art, MUCA, Munich, Germany. 2017 Letrastica Festival, II Conference of Type Design, Calligraphy and Lettering, Innovation and Design Center, MIND, Guadalajara, Mexico. Organized by Typos. 2017 WallDialogue2 Germany - Mexico, Artistic Interventions in La Merced neighborhood, Mexico City. Organized by Neurotitan (Ger) and Atea (CDMX). 2017 Go Back to School, Alphabet et sa signature, La Popartiserie Gallery, Strasburg, France. 2016 Die verborgene Schrift, Freiraumgalerie, Halle Saale, Germany. 2016 Interactos - Encuentros Públicos de Artes. (Interacts- Public Encounters of Arts), University of Arts of Ecuador (UArtes), Guayaquil, Ecuador. Organized by 400 Metros, (Urban Art Platform). 2016 // NO FONT ((CODEX)…, Avantgarden Gallery, Milan, Italy. 2016 No Name, Dax Gallery, Los Angeles, USA. 2016 Lignes Urbaines, Cox Gallery, Bordeaux, France. 2016 IBUG Festival for Street Art, Limbach, Germany. 2016 The Design of Words, Aqua Sumarte, Milan, Italy. 2016 Stroke Art Fair for New Contemporary Art, Munich, Germany. 2016 Street Art Evry Centre Essonne Festival, Paris, France. 2016 Wall Exhibition, Nucleus, Labolic, Paris, France. 2016 Coachella Walls Festival, Pueblo Viejo, USA. 2015 Graffictti Exhibition – Said Dokins, Mazatl, Fusca, Ácaro, London, United Kingdom. 2015 10x10 Poliniza, Vice-chancellorship Office, Polytechnic University of Valencia, Spain. Curated by Joan Peiró and Juan Canales. 2014 Tribute to Dr. Atl in the 50th Anniversary of his Passing, Bernardo Quintana Art Center, Autonomous University of Queretaro, Mexico. 2014 Migrant Suitcases/ Maletas migrantes, 50th Anniversary of Ford Foundation in Latin America, American History Museum, San Diego, USA; Tijuana Cultural Center, CECUT, Tijuana, Mexico; European Foundation Centre Philanthropy House, Brussels, Belgium; National Museum of Anthropology of El Salvador Republic Dr. David J. Guzmán, San Salvador, El Salvador. Organized by Ford Foundation and Ambulante Documentary Film Festival. 2014 In Vitro, School of Fine Arts’ Hall, Polytechnic University of Valencia, Spain. 2014 International Award of Arts Caja de Extremadura OBRA ABIERTA 2014 Exhibition, "Las Claras" Cultural Center, Plasencia, Spain. 2013 Momento Cero (Zero Moment), Ex Teresa Arte Actual, National Institute of Fine Arts, INBA, Mexico City. 2012 Callegenera Festival of Urban Expressions, Council for Culture and Arts of Nuevo Leon, CONARTE, Nave Generadores Art Center, Monterrey, Mexico. 2011 From Urban to Contemporary, Urban Art EFX, International Exhibition of Urban Artists, CBK, Amsterdam, Netherlands. 2011 The Dumpster Biennale, Magazine Gallery, Adelaide, Australia. 2011 The Art of Rebellion #3, Helmet Gallery, Munich, Germany. 2010 Conspiración (Conspiracy), Cut Out Fest, Queretaro, Mexico. 2010 No Local, International Video Art Exhibition, School of Arts, ASAB, Distrital University Francisco José Caldas, Bogota, Colombia. 2010 Habitar. No Autorizado (Inhabit- Non Authorized). Public interventions in Mexico City’s Downton area. Sponsored by Patronato de Arte Contemporáneo, PAC, Mexico City. 2009 Digital Graffiti, The World’s First Outdoor Projection Art Festival, Alys Beach, USA. 2009 Indoor, Urban Art from México, France and Chile, Trafixx Gallery, Santiago de Chile. 2005 Reacción . Performance. Ex Teresa Arte Actual, National Institute of Fine Arts, INBA, Mexico City. 2015-2017 Heliographies of Memory series, Light Calligraphy Photographs in collaboration with Leonardo Luna. 2016 Le Message Secret (The Secret Message), Mural Intervention in collaboration with MonkeyBird, Bordeaux, France. 2016 Devient Animal (Become Animal), Mural Intervention in collaboration with MonkeyBird, San Miguel de Allende, Mexico. 2015 Los jóvenes no seguiremos siendo víctimas de su violencia de Estado (We, the Youth, Won’t Continue Being Victims of your State Violence), Mural in memory of Ricardo Cadena. Collaboration with Karas Urbanas and Sortek. 2017 Heliographies of Memory series, Light Calligraphy, Heerlen Murals, Heerlen, Netherlands. 2017 Locatie Spatie, Arnhem, Netherlands. 2015 Encontro de artistas novos (New Artists Encounter), Organized by the City of Culture of Galicia and the Cultural Center of Spain in Montevideo, Uruguay. 2010 International Meeting of Art for Action and Reflexion “ArtexParte”, Berazategui, Buenos Aires, Argentina. 2015 Winner- Iberoamerican Prize to Contemporary Artistic Creation Cortes de Cádiz, “Juan Luis Vasallo”, Cadiz City Council, Spain. 2014 Selected work- 6th Art International Award of María José Jove Foundation, Coruña, Spain. 2012 Winner- Youth Prize Federal District (Mexico City). Category: Artistic and Cultural Activities. 2010 Selected Work- DA FEST. International Digital Arts Festival, National Academy of Art, Sofia, Bulgaria. 2010 Selected Work- 3rd International Video Art Festival of Camagüey, Cuba. 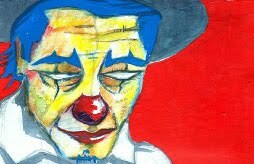 2010 Selected Work- Entijuanarte Revoluciona, Tijuana, Mexico. 2010 Winner- Education and Culture Program Award, National Institute of Fine Arts, INBA, Mexico. 2010 Finalist- 3rd Annual Digital Graffiti Art Festival Competition, Alys Beach, USA. 2009 Finalist- Cut out Fest. International Animation and Digital Art Festival, Queretaro, Mexico. 2009 Finalist- Arte 40, National Council of Culture and Arts, CONACULTA, José Vasconcelos Library, Mexico. 2009 Finalist- 2nd Annual Digital Graffiti Art Festival Competition, Alys Beach, USA. 2008 Winner- University of the Valley of Mexico, UVM Prize for the Social Development, Mexico. 2008 Winner- Alternative Social Communication Award, General Direction for Equality and Social Diversity (DGIDS), Mexico. Category: Poster. 2008 Winner- Alternative Social Communication Award, General Direction for Equality and Social Diversity (DGIDS), Mexico. Category: Book. 2013 Fire Camo. New Works by Benuz Guerrero, Anomalia Gallery, Mexico City. 2011 Intersticios urbanos. Muestra internacional de arte urbano (Urban Interstices, International Exhibition of Urban Arts), Cultural Center of Spain in Mexico, CCE, Mexico City. 2015 “Visible Invisibilización. 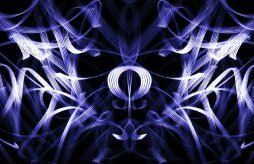 Aproximaciones en torno a la violencia” (“Visible Invisibilization. Approaches to the Subject of Violence”) in Martinez, Gabriela y Said Dokins, editors. Visible Invisibilización. Aproximaciones en torno a la violencia. Mexico: Pneuma. 2017 Daniele Tozzy, Words into shapes. The Graphic Art of Calligram, Barcelona: Monsa, 104-113. 2017 Andrea Hilger, et. al., Re_form, Dresdren: OSTRALE Biennale, 140-141. 2017 Christian Hundertmark and Patrick Hardlt, The Art of Writing your Name, Mainaschaff: Publikat, 60-67. 2016 Christian Hundertmark, The Art of Rebellion. Masterpieces of Urban Art, IV, Mainaschaff: Publikat, 152-153. 2016 Kristel Pfeifer, edit., Arte Urbano Latino, Santiago de Chile: Arte Al Límite, 44-53. 2016 Chrixcel, MonkeyBird, Singerie Oisive, Opus Delits Collection No. 66, Grenoble: Critères Èditions, 44-53, 90-91. 2016 Christopher Calderhead, “Said Dokins: An LAR Interview”, Letter Arts Review, Vol. 30, No. 2, Greensboro: Letter Arts Review, 1, 40-59. 2016 Joan Peiró, Poliniza Festival D’ Art Urbà, Valencia: Polytechnic University of Valencia. 2013 Pedro Gadanho, coord., Performance –Architecture, Guimaraes: Guimaraes 2012 European Capital of Culture, Arts & Architecture Cluster, 95. 2013 Sara Afonso, coord., La Noche. Una cartografía de la ciudad de México (The night. A Cartogrphy of Mexico City), Mexico: DGE Equilibrista, 18, 26, 170-171, 174-175. 2011 Maximiliano Ruiz, Nuevo Mundo, Latin American Street Art, Berlin: Gestalten, 222-223. 2010 Hundertmark, Christian. The Art of Rebellion. The Book About Street Art, Vol. III, Mainaschaff: Publikat, 152-155. 2009 Marc Wnuck, Latin America. World Wide Graphic Design. Cologne: Zeixs, Feierabend Unique Books, 133. 2008 Giovanni Troconi, México: Stencil: Propa, Mexico: Arts & Graphics, RM. 2003 Raquel Bialik, El humor en la ciencia (Humor in Science), Mexico: UNAM.